Get a user account and never fear death again! Birthdate A lot of contests have an age requirement, this will help us filter the right ones for you. Location Many contests are location-specific. Telling us where you're at is important! Popular Vote Are you a master of social networking with an army of loyal fans? 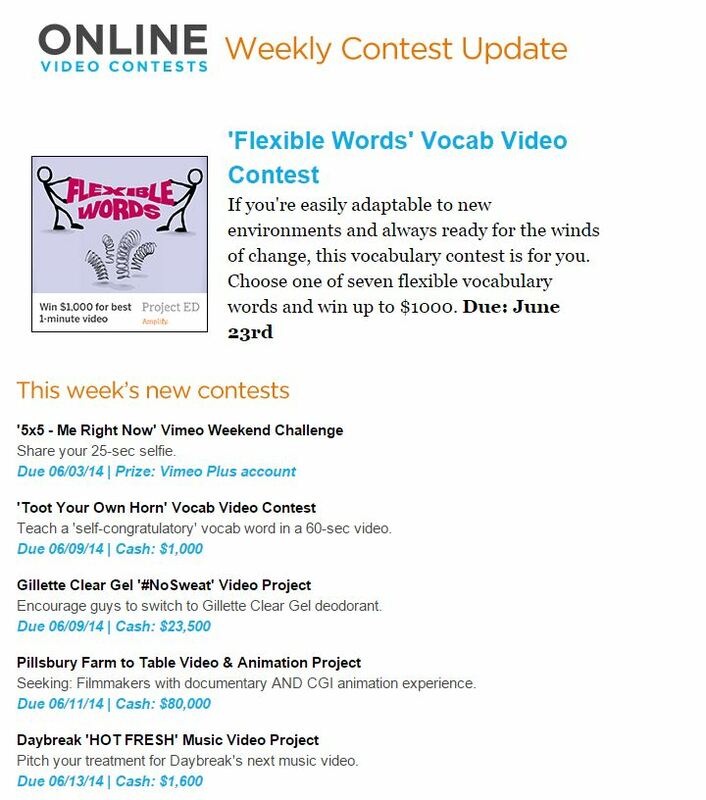 "Popular Vote" video contests may be for you! Judged Vote Awesome filmmaker but less online clout? Trust expert judges to notice your skills and give you the big prize! Mix (Judged/Public Voting) Contests that rely on both public vote and judged vote. Great films and strong social networks will do well here. Yes! I want it! Only show contests I can enter. Yes! I want it! Without any filtering. I agree to OVC's Terms of Service. Enter your info on the left, or sign in with your Facebook account by clicking below. Make friends, influence people, and get inspired!